With Valentine’s Day right around the corner, we thought it would be a perfect time to share a few tips to help extend the freshness of your flowers. Our floral experts shared some great advice to keep your blooms glowing. One of the most important ingredients to lasting flowers is water. Try these tips to keep your blooms vibrant. Temperature: Place stems in room temperature water. Water that is too cold or hot can shock the flowers and cause them to wilt sooner. Refilling: Replace water every other day. Stale water can cause bacteria to grow on the stems, shortening their life. Quantity: Limit water to one-third of the vase. This provides enough water to avoid evaporation and covers the stem ends. Cut flowers are typically harvested before they’ve fully developed, removing their access to food. Feeding your flowers is simple – check it out! Process: Before placing the stems in the vase, ensure that the contents of the food packet have fully dissolved. Frequency: Multiple packets are not needed if the water is changed often. Just one can provide your arrangement with the extra boost it needs to fully bloom. Environment: Since these flowers have already been cut, they survive best in cooler, dim areas. Direct sunlight causes the roses to mature faster. If you plan to be away for more than 24 hours, place the bouquet in the fridge to help preserve them. Stems: Use sharp utensils to cut the stems at a 45-degree angle. Using dull knives or hand pruners can crush the stem. It’s important to cut half of an inch off the bottom of the stem each time the water is changed. This exposes new tissue and provides the flower with a larger surface to uptake water, which can rejuvenate the flowers. 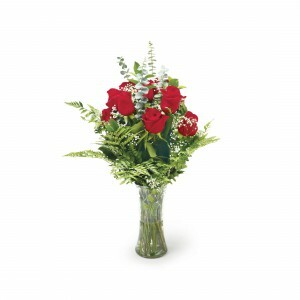 Leaves: Before placing flowers in the vase, remove all leaves and buds that will be submerged in the water. This will prevent them from deteriorating in the water, which can encourage bacterial growth. Vase: While the shape of the vase will not affect how long blooms will last, they do affect how they look. Choose the vase that best fits your arrangement. If you have only a few stems, choose a vase with a narrower mouth, whereas, if you have a grander bouquet with larger flowers, select a vase with a wider neck. 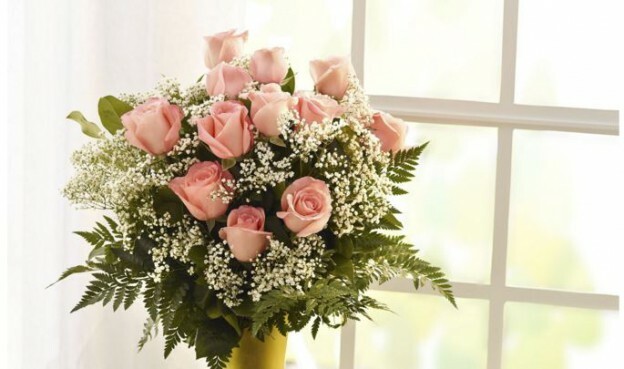 No matter the occasion, roses are the perfect gesture to show you care. Keep these tips in mind when gifting your loved one, or yourself, with a beautiful bouquet. Do you have additional tips and tricks to keep your flowers brighter longer? Let us know!